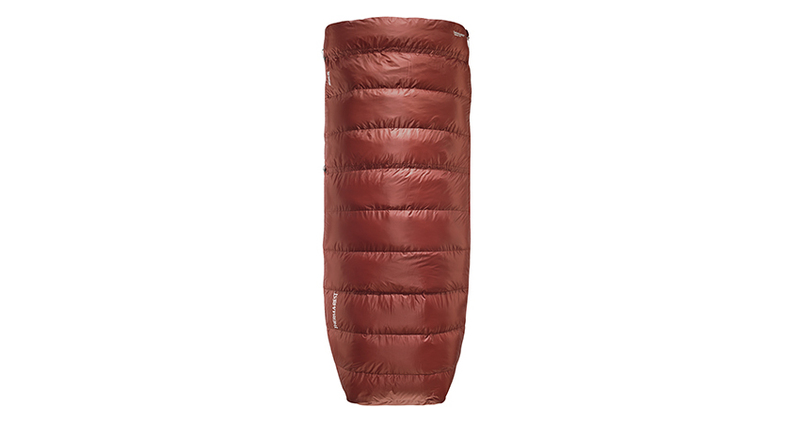 Versatile, semi-rectangular bag or quilt for solo or two-person use. Learn more. 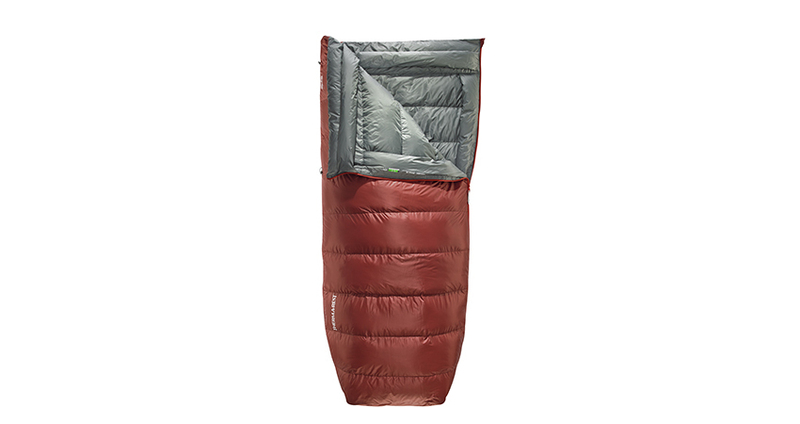 Versatile, semi-rectangular bag or quilt for solo or two-person use. 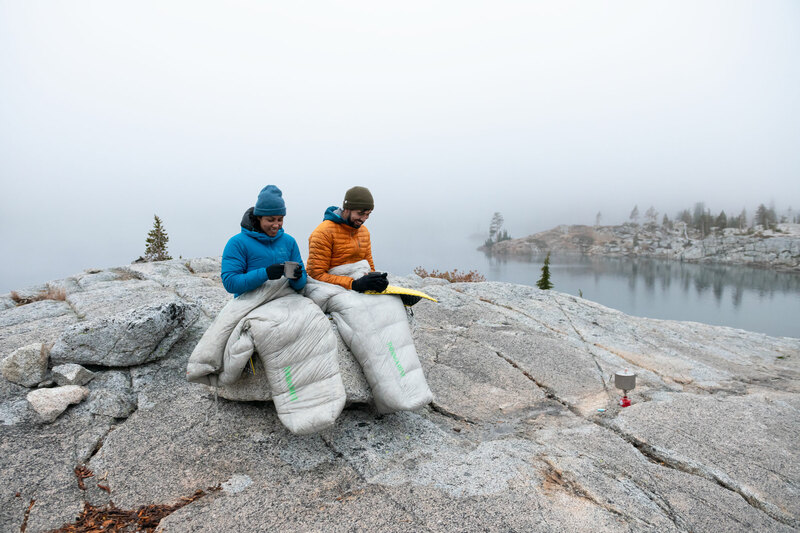 Whether going for a summertime sail and hike, or yurt camping with your favorite travel companion, the Dorado Duo HD has you both covered in comfy warmth. 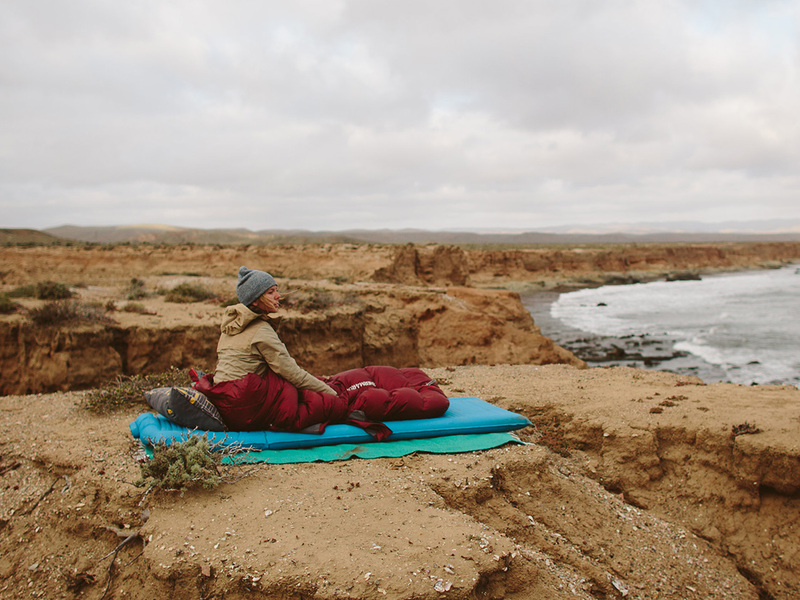 Part of our Camp & Comfort™ Series, the Dorado is a great warm weather sleeping bag that uses traditional semi-rectangular shaping to create extra room and added comfort while its versatile design offers double use as a bag or as a quilt when unzipped completely. 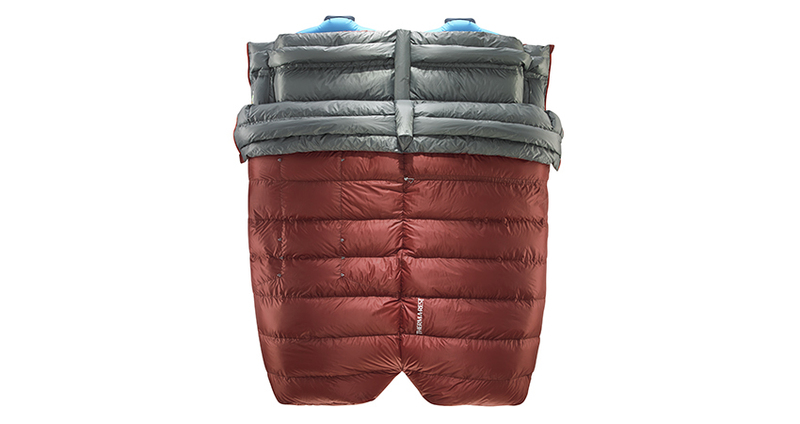 Nikwax™ Hydrophobic Down provides added loft without bulk and ThermaCapture™ seams capture warmth. 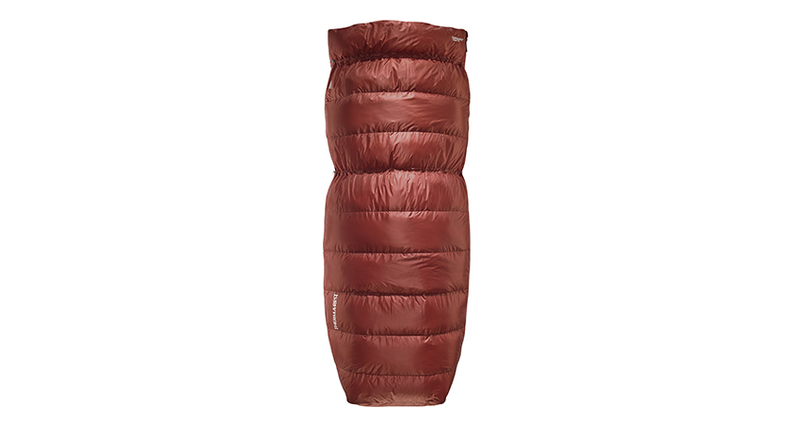 Versatile: Use as a bag or unzip completely flat for use as a two-person quilt. 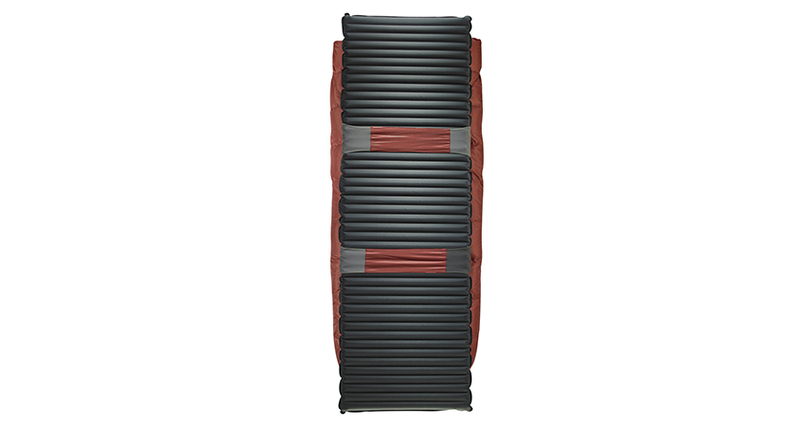 Mateable: Mates with another Dorado™ HD using outside zippers (versus a center seam zipper) for easy entrance/exit when set up in the two-person configuration. 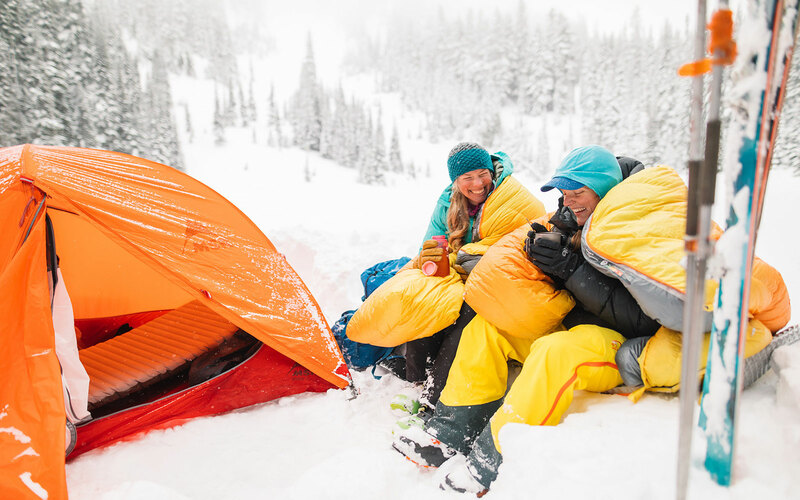 Reliable Insulation: Lightweight, 650 fill Nikwax Hydrophobic Down™™ packs small and stays dry longer and dries faster than regular down; Thermacapture seams help trap radiant heat for added warmth. 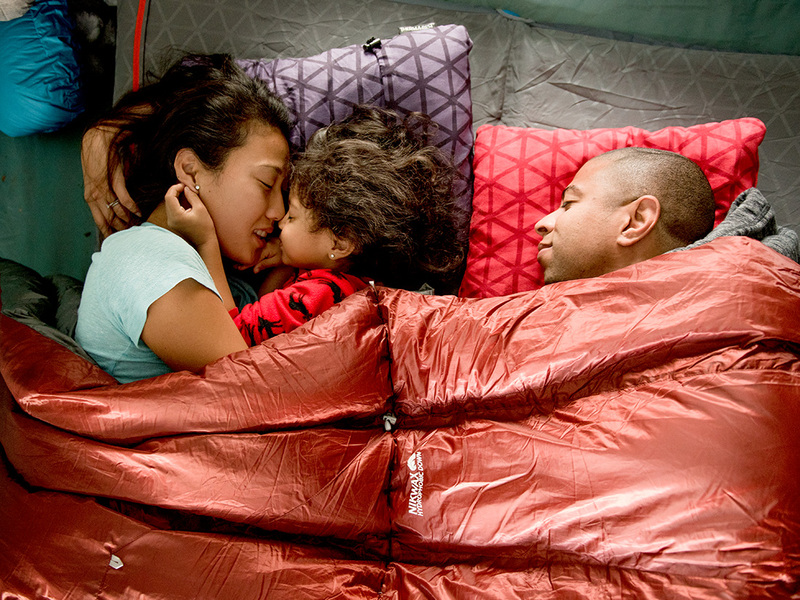 Removable SynergyLink™ Straps: Connect with your mattress to keep you on it all night, or remove them when mating with another bag. Dorado is a constellation in the southern sky. 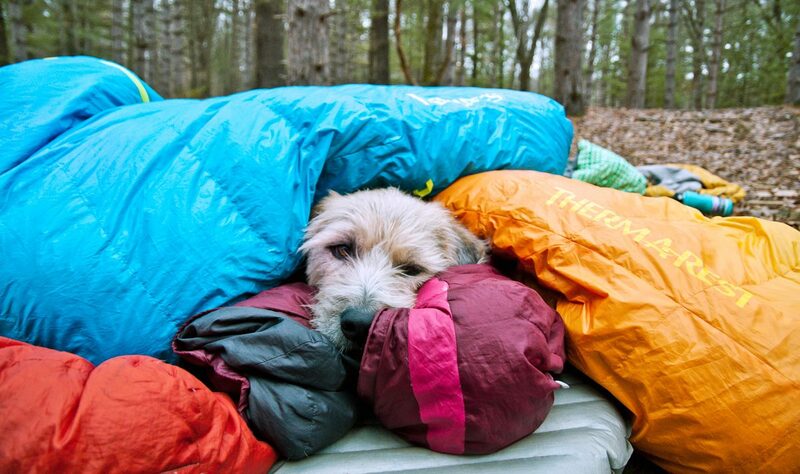 This chart shows our sleeping bag’s comfort and limit ratings. 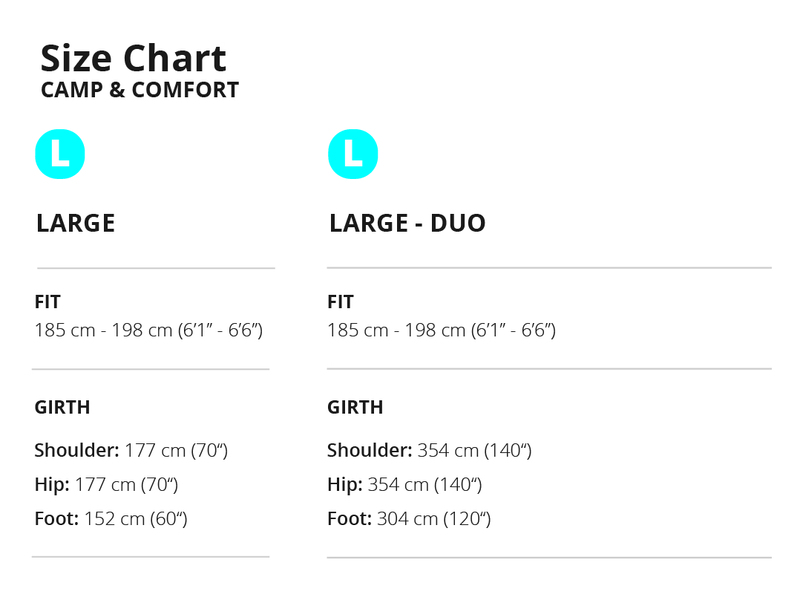 Comfort range refers to the temperature that you can expect consistent warmth, whereas limit range refers to the lowest temperature before the average person will have difficulty maintaining thermal equilibrium.